celebbeautystalker / October 1, 2017 / Comments Off on Think Pink in October! October is Breast Cancer Awareness Month. Think Pink in October and show your support by buying beauty products that give back to charity. Estée Lauder has announced the launch of its Breast Cancer Campaign Beauty Box. 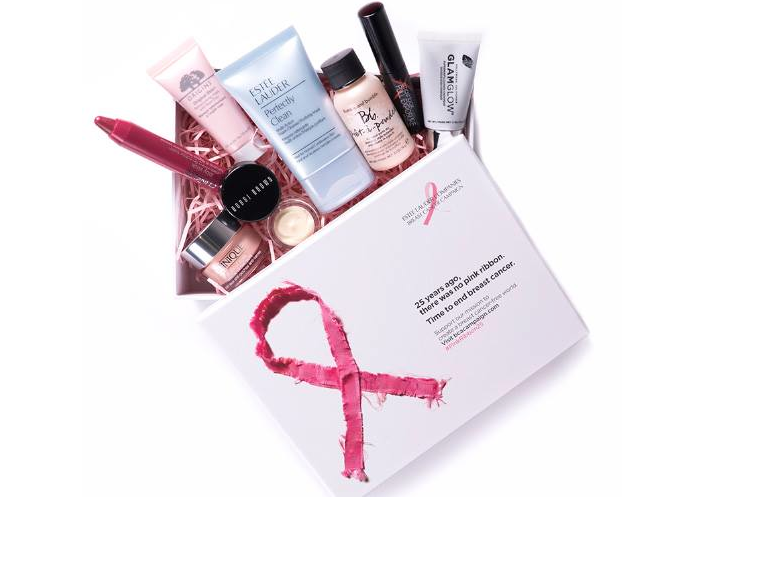 The limited edition Beauty Box contains products worth over £91 and will help fund the Breast Cancer Research Foundation (BCRF), the world’s largest private funder of breast cancer research.